ITS has added a new way to request tech support, TEXTING. 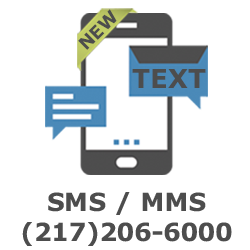 Simply enter (217) 206-6000 in to your texting app on your phone and send us the problem. When words aren’t enough, no problem! Take a picture and add it to the message. This service is only available during the times that the ITS Client Services Help Desk is open. If you send us a text after hours, you will receive an automated response and we will follow up with you the next day during regular business hours. We have also added a Suggestion Box at the Help Desk, so feel free to offer suggestions while you are here getting support. We love hearing feedback from the campus! To support UIS’ efforts in meeting the guidelines for ensuring the accessibility of all course materials, ITS has purchased two scanners available for use in the Media Lab (lower level of Brookens Library). 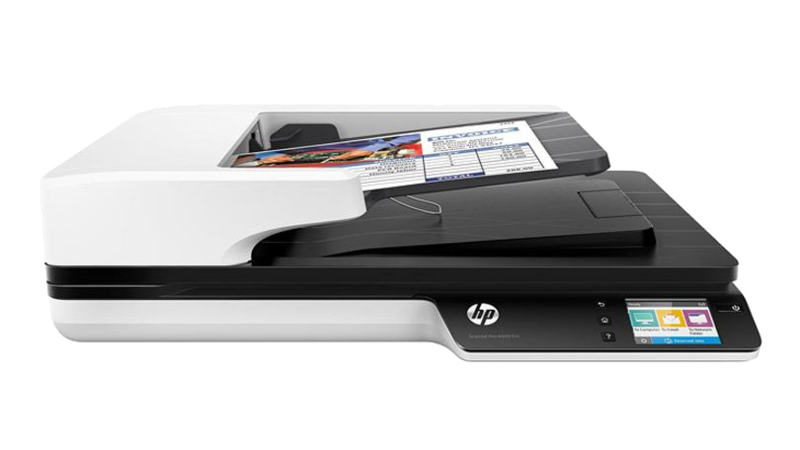 These scan stations allow you to scan your documents quickly and send them to an email address. The scanners have been customized to the optimal settings for making course materials accessible. 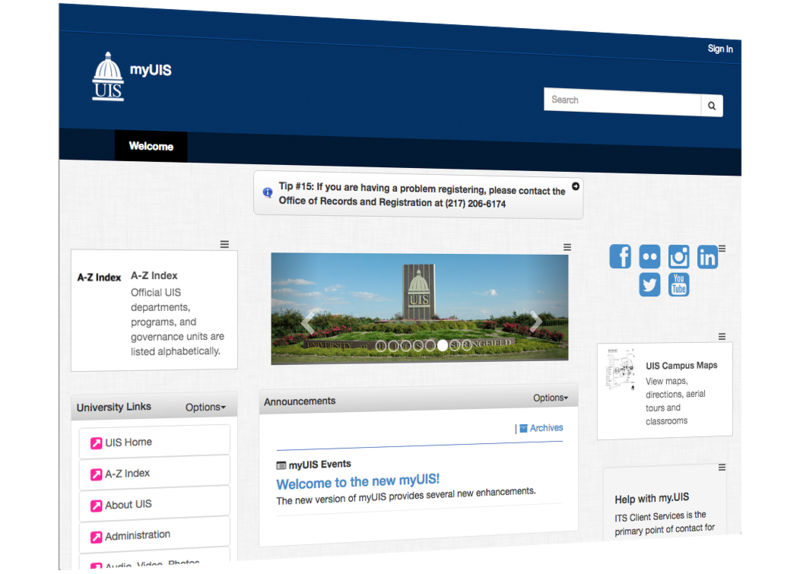 On March 13, we will be retiring my.uis.edu and launching our new campus portal. The new campus portal is mobile-friendly, with improved performance, and updated with content that better meets the needs of our campus. The portal is intended to provide you with quick and easy access to common services, resources, and information – including registering for classes, checking grades, getting UIS news, seeing what events are taking place, and much more. We encourage you to preview it, and let us know what you think! Based on feedback from our campus community, ITS conducted a wireless survey this summer to identify key areas on campus where wireless access could be improved. 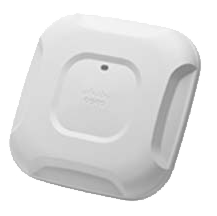 As part of this effort, ITS replaced 70+ wireless access points during the semester break. Most of these were located in housing units. Moving forward, ITS is preparing to replace more access points this year, as well as install additional access points across campus. In an effort to provide better technology support, ITS is dedicating a Student Support Associate to the students living in UIS Housing. Visit any of the locations throughout the semester to make your problems known and get support. During the semester break, ITS was able to resolve the issue with Xbox party chat on campus. ITS is dedicated to helping students get their devices connected to our network. 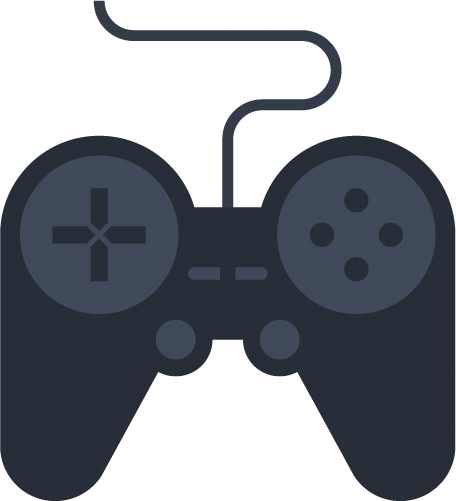 You can register devices here: http://go.uis.edu/GamingDevices. Please contact ITS Client Services if you are having any trouble connecting your device. In an ongoing effort to improve teaching and learning at UIS, ITS and COLRS have been researching alternative Learning Management Systems (that would potentially replace Blackboard). This initiative came as a direct result of feedback from both students and faculty that Blackboard may not be adequately meeting their learning and teaching needs. UIS is excited to be piloting Canvas this spring with a group of 15 faculty members and about 300 students. Our research indicates that Canvas is better meeting the needs of many colleges and universities because of its superior suite of tools, including Michigan, Penn State, Wisconsin and many others. The intent of this pilot is to determine if UIS would benefit from moving to Canvas as well. We hope it may address the limitations of our current learning management system including the lack of analytics and outcomes collection, adequate mobile support, high cost, and failure to keep current with technology trends in digital learning. Townhall meetings will be hosted later this semester so that the faculty and students piloting Canvas can share their experiences with the campus, answer questions, and have conversations regarding the advantages/disadvantages of making a move to Canvas. If a highway is full of potholes, the ride will be rough even if you are driving a luxury vehicle. The same is true for our network infrastructure on campus. It also needs to be updated and replaced in order for connections to be smooth and secure. 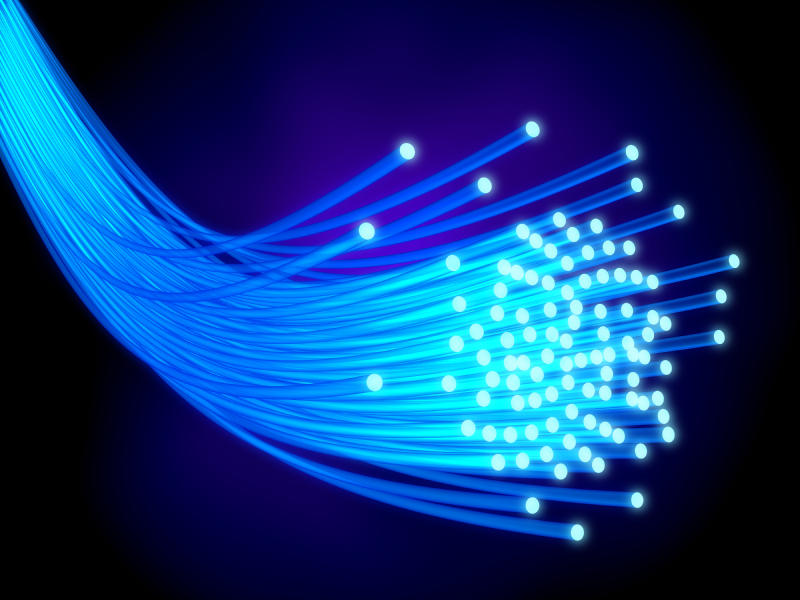 As such, ITS is running new fiber between several buildings to improve these ‘roadways’ throughout campus which will provide faster connectivity and redundant paths to reduce downtime.